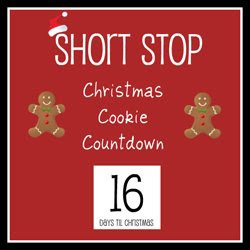 I've learned something while baking all these cookies with my boys. I had to confiscate a whole bunch of them today because they had taken to using them on their train table. "But, Mom - this train cookie fing DOES go on the train tracks." Umm. No. It's for cookies. Hand it over. They have been eyeing the "heart" cookie cutter ever since we pulled them out. And, we finally got to use it today, much to their sugar-induced glee. These Lemon Hearts are wonderfully sweet and buttery. The recipe is a simple lemon bar recipe, but completely made from scratch. It is so simple and the ingredients so few, that there really is no reason to buy the boxed stuff. And, these taste SO much better. I laid aluminum foil down inside the pan so that I could easily slip the bars out and onto the counter. We then used a heart shaped cookie cutter to cut them out. The boys loved munching on the leftover pieces. I used strips of lemon rind to create little "lemon knots" on top. I think they're just as beautiful as they are good. Combine first 4 ingredients; beat at medium speed with electric mixer until blended. Pat mixture into foil-lined, greased 9 x 13-inch baking dish. Bake at 350 degrees for 18 minutes or until golden. Combine 2 cups sugar and cornstarch. Add eggs and next 3 ingredients; beat well. Pour mixture over crust. Bake at 350 degrees for 20 to 25 minutes or until set. Cool completely. Chill well. Sift 2 to 4 tablespoons powdered sugar over top. Cut into hearts, using a cookie cutter; or cut into bars. Garnish, if desired. I love lemon bars but they always make me sad. I had them for the first time at my grandfather's funeral a neighbor had brought them by and I fell in love but they always take me back to that summer, and I can remember everything the texture of the wall paper in the funeral home, how the dress I wore fit funny, the music on the little handhold game my brothers fought over in the 22 hour car ride home. Its weird how flavors and smells do that. i love lemon! i will be making these for sure! cannot wait!! These are beautiful! 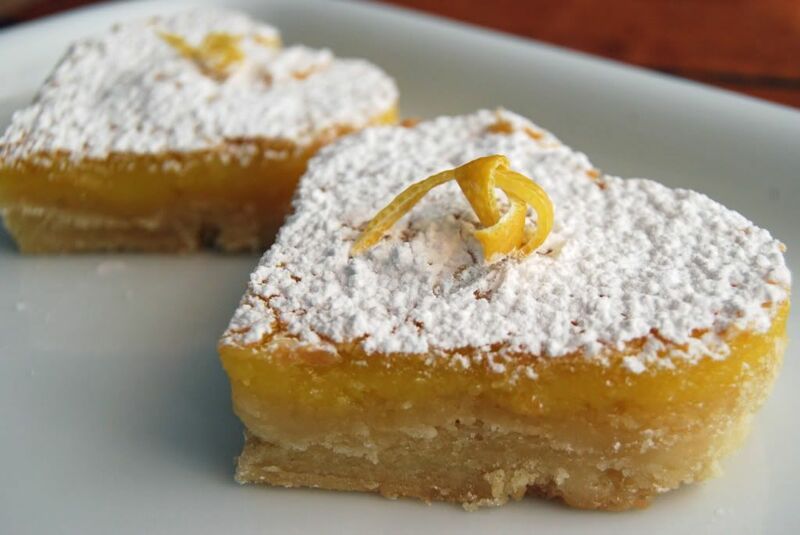 I love the tangy-sweet, buttery taste of lemon bars.